The twin settlements of Culburra Beach and Orient Point are located 182 km south of Sydney via Nowra which is the nearest main centre on the Princes Highway. 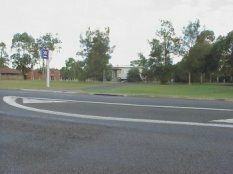 Situated 22 km south-east of Nowra it is necessary to turn south off Greenwell Point Road at Pyree. It is very clearly signposted as you pass through Nowra. 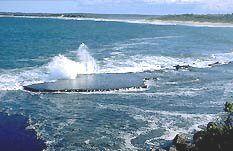 Located on the southern side of the mouth of the Shoalhaven River is Orient Point which adjoins Culburra to the south. With the Crookhaven to the west, the Tasman Sea to the east and Lake Wollumboola to the south this charming section of the coast is almost completely surrounded by water. A shepherd named Patrick Caffey, who worked for Alexander Berry, the man who gave his name to the nearby town of Berry, was probably the first to establish a farm at Orient Point. Today it is essentially a holiday home area with a considerable commuter population who prefer the coast to living in Nowra. The attractions are almost exclusively the beaches, the walks around the headlands and the excellent fishing.